AUDI TT 3.2 DSG QUATTRO 2003. The TT 3.2 2003 was the second car in history to use the DSG gearbox, behind the Golf IV R32. As a concept in 1995 and finally as a production car, the Audi TT was one of the most dramatic cars at late 90s. Its organic and symmetrical style between the front and back contrasted with the sides to create a style completely different to anything that Audi had produced before, while the very well done interior hardly left a trace of its humble Volkswagen origins. The Audi TT is not really a sports car, in essence the FWD or AWD TT, is a two-seater touring. True, the coupe has a couple of seats at the back, but the truth is that virtually they are useful for anything, especially during long trips. Introduced in 2000 and available only as a hatchback, the first TT used the Audi 1.8-liter engine with 180 horsepower. You could choose between front-wheel or four-wheel drive (the Audi's Quattro system). It came equipped as standard with a 5-speed manual transmission and the optional was a 6-speed, also manual. Like the exterior, the interior design of the TT was unique with its accents of shaved aluminum, excellent finishes and unfortunately some ergonomic flaws with the CD changer mounted behind the driver's seat and unintuitive climate controls. After a much-publicized recall to fix some minor issues with the steering wheel of the first TTs, made their appearance in 2002 the Quattro versions (with 225 horsepower) and the Roadster. As of 2003 was available a 6-speed automatic gearbox. But the most important change or renovation, for the first generation of the TT came in 2004, when the 3.2-liter V6 and 250 horsepower made its appearance alongside the DSG gearbox of dual clutch. The TT remained virtually unchanged until 2006 which was the last year of this generation. Although this TT can be quite fast in straight lines, it was never considered a true sports car due to its heavy weight and softness in the tuning of the suspension. In any case, the TT must meet the expectations of those who seek comfort, style and ability to drive it in any weather, whether you do it in the coupe or its sporty roadster version. The first part of this post was a brief intro and a personal view about the Audi TT's manufactured between 2000 and 2006. Now, for those enthusiastics of these vehicles searching or interested in buying one of these semi-sporty machines at the lowest possible price, I'm going to show you where you can find them and where to call to get in touch with the seller. These deals that I'm showing below could be also of interest for those who love coupes with sporty touches, and had not thought yet about the TT. And let me tell you that if you believed isn't possible, YES! 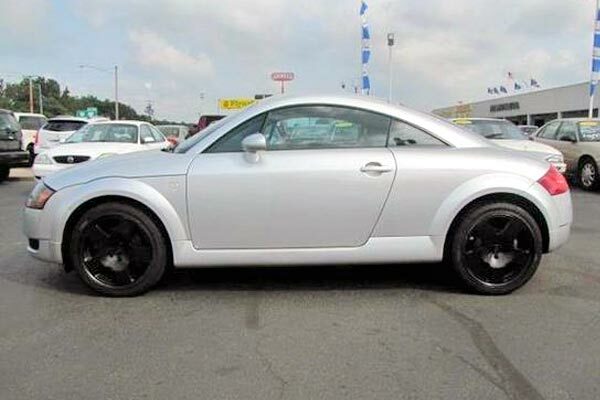 it is possible to buy a really nice used Audi TT for under $5000 dollars, just keep reading. Bear in mind that this post was published on October 9th, 2013. If you arrived here later than this date, these vehicles may not be available anymore. Lucky those who saw the article the day of publication. 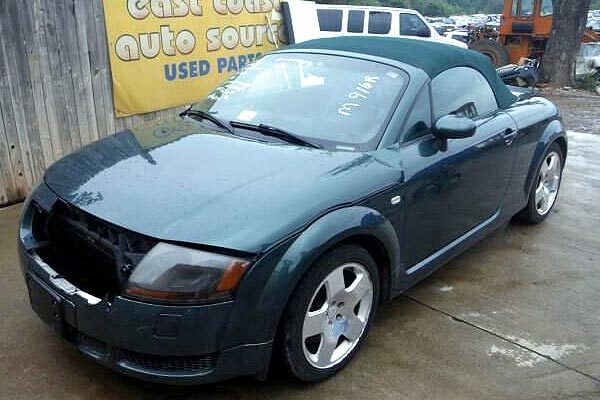 AUDI TT 2005 UNDER $5000. 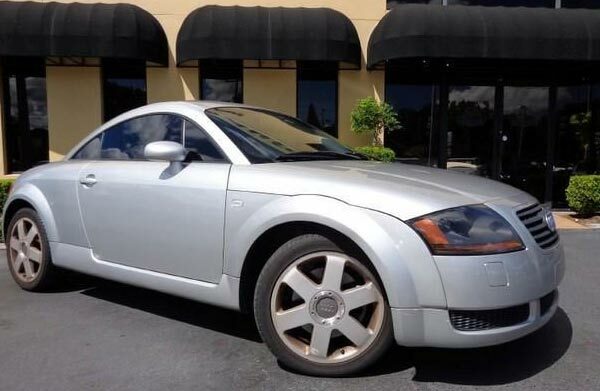 This CarFax certified and silver TT has 148k miles, comes with the 1.8L I4 20V MPFI DOHC Turbo engine, is a FWD, and is being sold by Hillsboro Auto Mart dealership in Tampa, Florida FL for only $4,476. If you are interested, get in touch with the dealer for more info calling at 877-246-2059. For more pictures and info click here. AUDI TT QUATTRO 2001 CONVERTIBLE UNDER $5000. This green TT AWD convertible has 122k miles, comes equipped with a 1.8L I4 20V MPFI DOHC Turbo engine and 6-speed manual transmission. It also comes with soft top and good title and it seems it needs some repairs or is being sold as a fixer upper by East Coast Auto Source dealer in Bedford, Virginia VA for only $4,700 dollars. For more pictures and info click here or call at 888-409-3293. 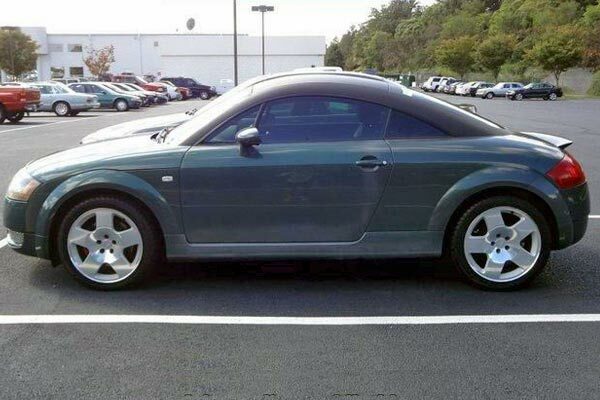 2000 AUDI TT UNDER $5000. 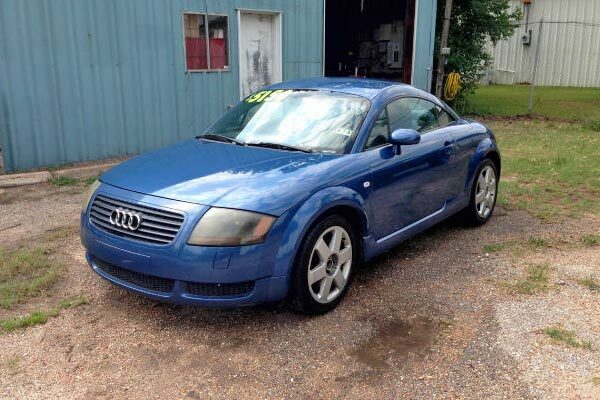 This blue TT has 128k miles and features a 1.8L I-4 engine and 5-speed manual transmission. It also comes with blue leather seats, tinted windows, and its overall condition looks really good, specially its body and paint. 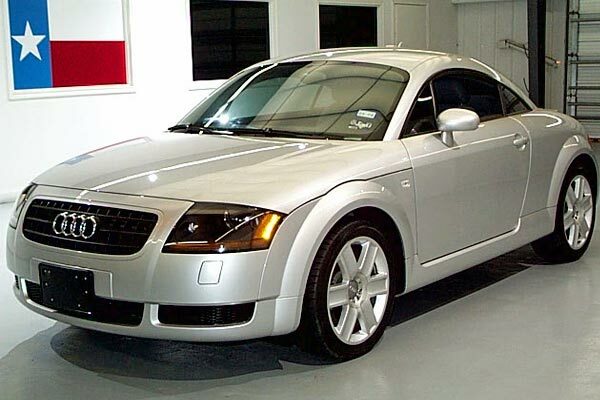 This TT is being sold by Depot Auto Sales dealer in Houston, Texas TX for only $4,950 dollars. For more pictures and info click here or call directly to the dealer at 888-592-5281. 2001 AUDI TT QUATTRO UNDER $5000. This green TT Quattro AWD features the 1.8L I4 20V MPFI DOHC Turbo engine, 6-speed manual transmission and has been driven 155k miles so far. It has 4 previous owners and its title is clean according to Carfax. This 2001 TT is being sold by Richmond BMW Midlothian dealership in Midlothian near Richmond, Virginia VA for only $4,991 dollars. For more pictures and info follow this link or call directly to the dealer at 855-314-2218. 2001 AUDI TT 1.8L QUATTRO UNDER $5000. This silver TT Quattro features the powerful and fast 1.8L Turbo engine of 225-HP, 6-speed manual transmission, leather seats and has 176k miles. It is being sold by Parkway Honda dealership in Dover, Ohio OH for only $4,992 dollars. For more pictures and info follow this link or call directly to the sales department of Parkway Honda at 1-866-897-2964. Well, now that you know that is possible to buy in Florida, Virginia, Ohio and Texas a super nice, cheap and well reputable sporty used car for less than $5000, just like the Audi TT, hurry up and check out personally these bargains above before they gone. If you have a friend that resides in one of the states just mentioned, let him know about these deals or ask him if he/she can check them out for you.